Composite housing with heavy-duty wall mounting swivel bracket. Fitted with high quality rubber hose. Innovative design features three key points. Hose can be extended and stopped at any length. 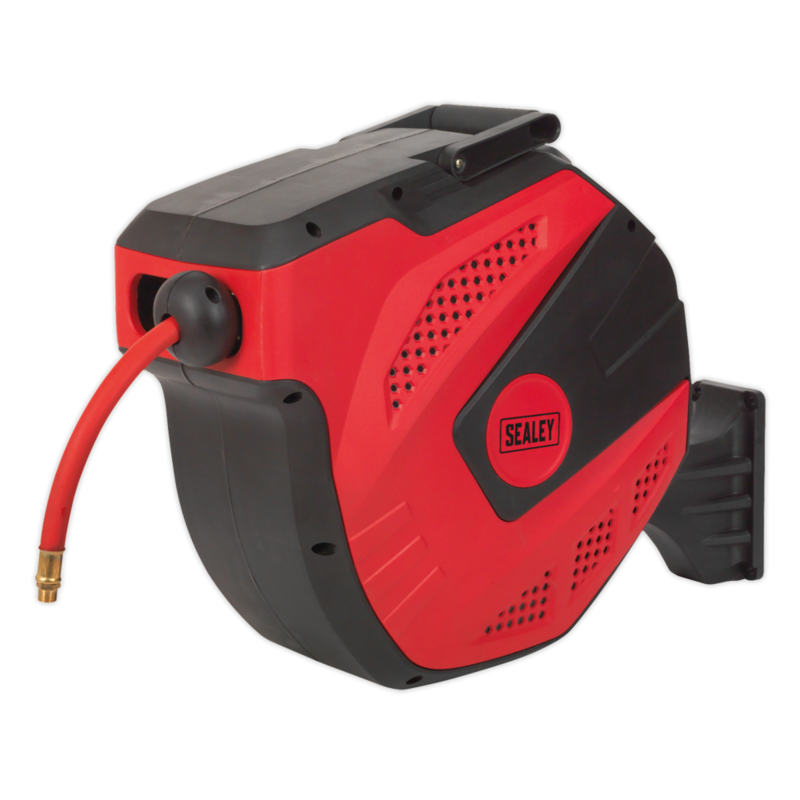 Controlled, slow rewind which, unlike traditional retractable reels, returns the air hose at a safe speed. 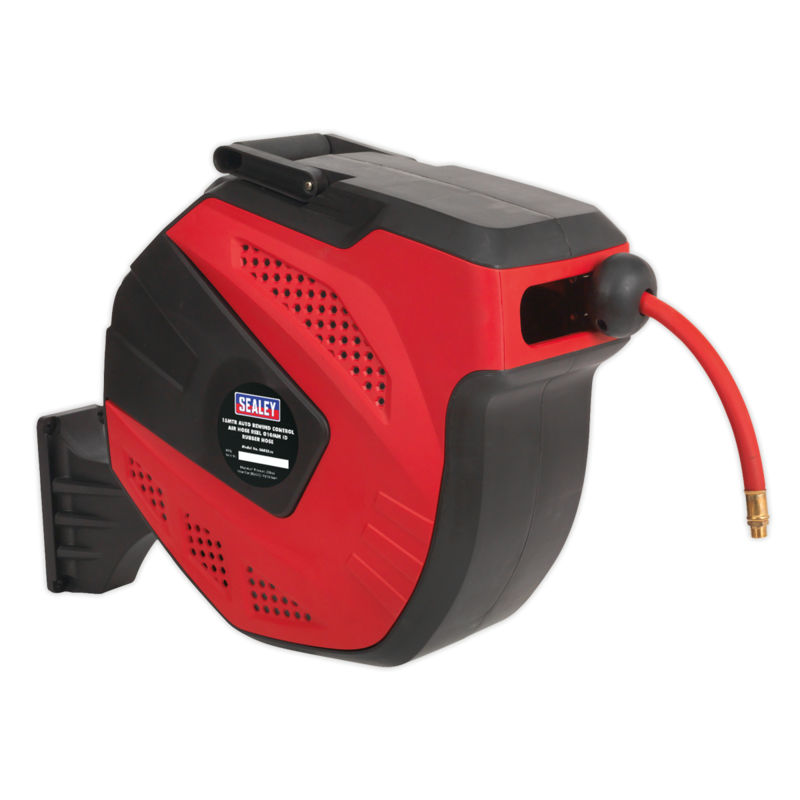 Auto layering mechanism distributes air hose evenly back into reel housing preventing it from jamming.